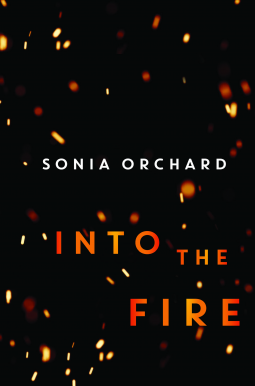 Sonia Orchard’s second work of literary fiction, Into the Fire, is a distinctly Australian novel. Descriptions of smoky blue-green gums that paint a vivid picture of rural Victoria are balanced with Melbourne-specific scenes, such as the pro-life protesters who—until recently—picketed the Wellington Parade abortion clinic six days a week. The novel goes back and forth between present day and the early nineties as Orchard explores the decades-long friendship between two women, Alice and Lara. Alice is now dead, killed in a house fire that she may or may not have lit herself. She is survived by her selfish yet charming rock star partner, three children, and the aforementioned Lara, who is guilt-ridden and addled with shame that she didn’t save her friend. To ‘save’ someone has many different meanings in this book. As Lara tries to process her grief, she looks back at her friendship with Alice, revisiting conversations and confidences that she overlooked or ignored at the time. How Alice died remains a mystery but perhaps what’s most intriguing about this story is the sharp commentary on gender politics, comparing our university-age selves to our mid-career selves, and the subtle power of gaslighting. Into the Fire will appeal to fans of Emily Maguire, Zoë Heller and Sofie Laguna.